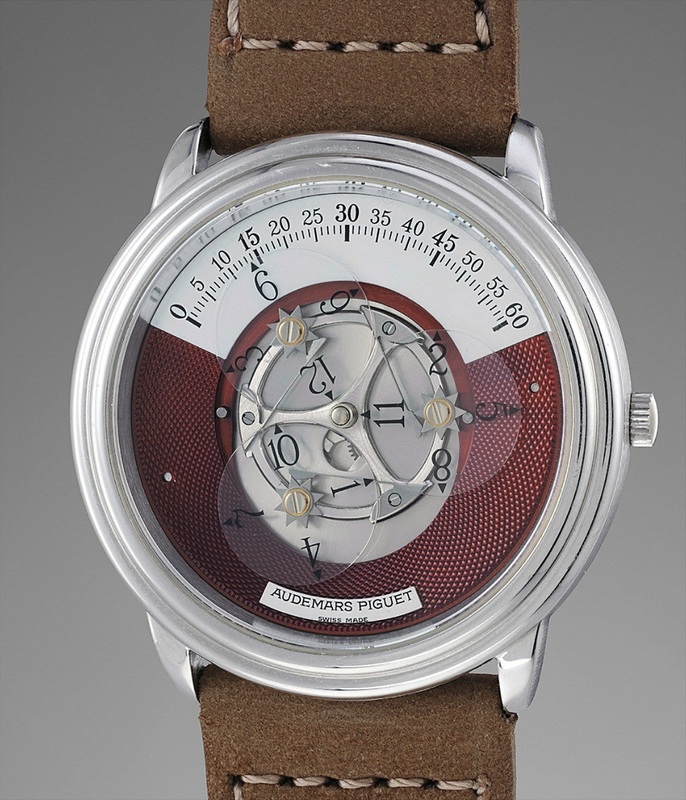 Audemars Piguet - Audemars Piguet Star Wheel Platinum Red Dial. Audemars Piguet Star Wheel Platinum Red Dial. I am a big fan of the Star Wheel, and mostly of the Millenary Star Wheel, but this one doesn't lack charm nor beauty and I must confess that I didn't know this dial version. The back is so so, but the front... Wow! A first for me also. I've seen a bunch of Starwheels come up over the last several years but never like this. I'd seen it in the catalog and marked it as a favourite! It's by far the most interesting and maybe most contemporary of the versions I've seen for sale so far. personally I prefer this version to the Millenary Star Wheel even if it is more rare. Wow, I have not seen this version before! Funny how you mostly publish post of watches where the first thing i think of is: "look how they used to be and what they became." 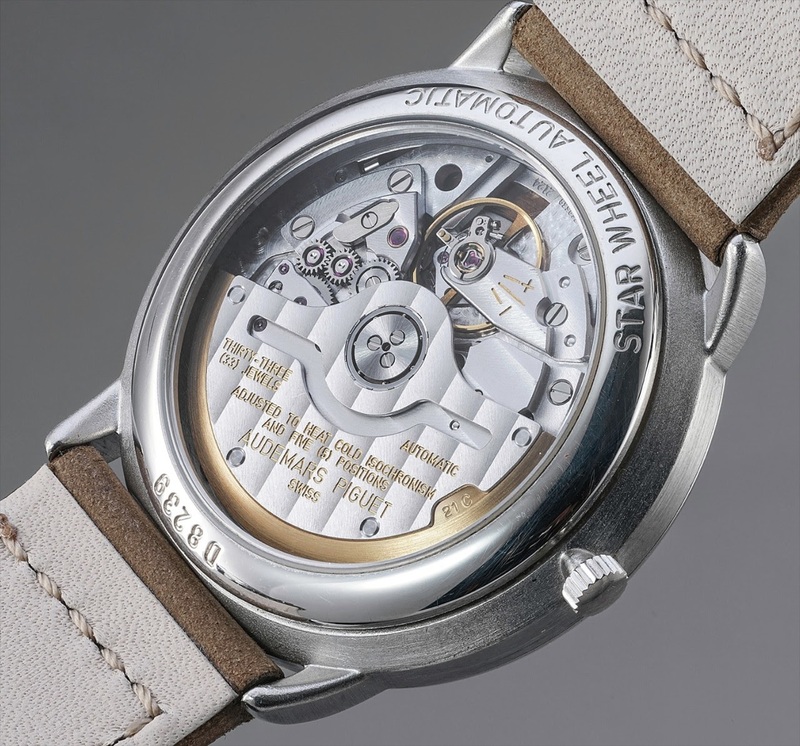 I know it's lame to say the past was better but look... watches became too mainstream and we can see how it affects some of the most prestigous watchmakers in a negative way. this suits my taste very well. It’s a full package of nice elements.